The Matthews has a children’s theater called the Peanut Butter & Jelly Players. 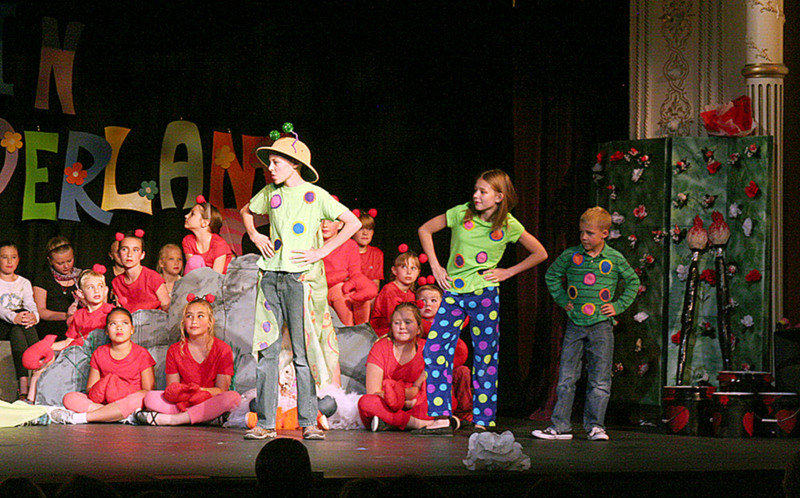 Traditionally, this group provides a summer theater camp to children of the area for a month, culminating in a 3-day production of a play. Children learn the art of performing, backstage tasks, blocking, set building…the whole package! Due to a very generous anonymous donor, this month-long summer program is FREE to all the children. We do require a small deposit for each child, that is refunded after the child’s completion of the summer program. AGE RANGE: The youngest age group of children must be entering 2nd grade in the Fall of 2017 (no exceptions) and the oldest is 18 years of age or entering their senior year of high school. Maximum of 2 children per family allowed to register. All children must be current on vaccinations. The 2017 Peanut Butter and Jelly production is “High School Musical, Jr.” Performances will be June 23-25, 2017. Ann Froelich directs the play. Registration April 1-May 15, 2017*. CLICK HERE to download the registration forms. You may also pick up the form in The Matthews Art Gallery during business hours. *Registration is limited to 50 students. So, get your forms to us as soon as you can. Gathering kids into the circle! 2014: Beauty and the Beast, Jr.
2015: My Son Pinocchio, Jr.
2016: Alice in Wonderland, Jr.
2017: High School Musical, Jr.
All of the shows have been KIDS versions except Willy Wonka. “The Little Mermaid,” “Beauty and the Beast,” and “My Son Pinocchio, Jr.” are Broadway Junior versions of these shows. Play materials are ordered from Music Theatre in New York. These materials include a script which has the lyrics and the score of every song as they appear in the musical. The cast and crew get to keep these scripts, along with the rehearsal CD of all the music in the show. 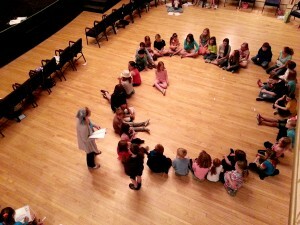 The casts and crews of each production are also children. They design and create everything from costumes to set and props and lighting. Also, this program has had many dedicated, talented adults who use the power tools and all kinds of equipment and expertise that is needed to perform a fabulous show.